A couple of Big Apple real estate investors are checking into an East Side hotel. 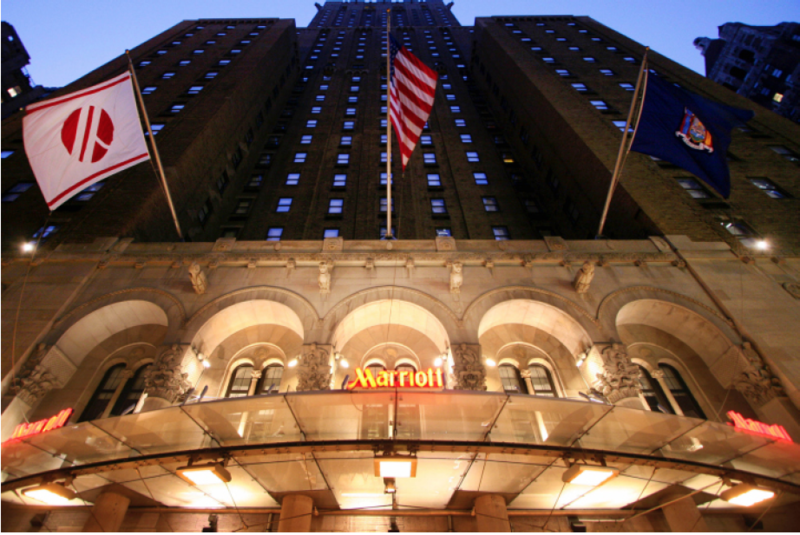 Ashkenazy Acquisitions is in contract to buy the New York Marriott East Side for roughly $290 million, The Post has learned. The 655-room hotel was being marketed through a JLL team led by Jeffrey Davis. Apparently, Ben Ashkenazy and Michael Alpert’s company preempted the process, which was attracting wide domestic and international interest, sources said. The price comes to $443,000 per key. A deal for a 99-year lease on the Waldorf Astoria is in contract for $1.92 billion, or $1.4 million per room, while the 398-room Sofitel was contracted for $273 million, or $686,000 per key. The pricing discrepancies are based on cash flow and any capital expenditures needed, said Daniel Lesser of LW Hospitality Advisors, who was not involved in this deal. “There are no bargains and the market has never been better,” Lesser added. The Marriott sits on the eastern block front of Lexington Avenue between E. 48th and 49th streets. Designed by the Empire State Building’s architect, Arthur Loomis Harmon, the 35-story hotel was built in 1924 and has numerous setbacks and terraces and at one time was considered for landmarking. The sellers are the Prime Property Fund of Morgan Stanley, which purchased it in 2005 for $284 million and over the last decade, plowed $56.2 million into renovations. In 2013, the hotel was 87 percent occupied with an average daily room rate of $303 and a RevPAR (revenue per available room) of $264. Ashkenazy has extensive retail, residential and office experience. Its holdings include Barneys, Faneuil Hall in Boston and the retail at 522 Fifth Ave., which it also purchased from Morgan Stanley. Neither Ashkenazy Acquisitions nor JLL’s spokesman returned requests for comment.